Nina Kanovitch Schiffer’s practice focuses on commercial litigation, antitrust, and white collar defense and internal investigations. Nina has advised domestic and multinational companies on antitrust issues, and has participated in pre-merger analyses in several sectors, including energy, luxury goods, food, health, life sciences, and computing. Nina has also assisted clients in responding to investigations and enforcement actions from the SEC and DOJ, as well as foreign enforcement agencies. She has broad experience with internal investigations, including managing document reviews productions, preparing presentations for enforcement agencies, and responding to regulatory inquiries. 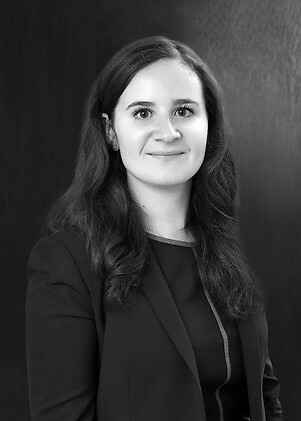 Prior to joining Holwell Shuster & Goldberg, Nina was a litigation foreign associate at Cravath, Swaine & Moore LLP. Pro bono representation, in partnership with the American Civil Liberties Union, of employees seeking workplace accommodations related to pregnancy. Telia Company in an FCPA investigation by the SEC and DOJ. Pre-merger analysis for the acquisition of Zale Corporation by Signet Jewelers Limited. Pre-merger analysis for the acquisition of Talenti Gelato & Sorbetto by Unilever. Pre-merger analysis for the acquisition of a multinational engineering and IT company by a French multinational energy management corporation.